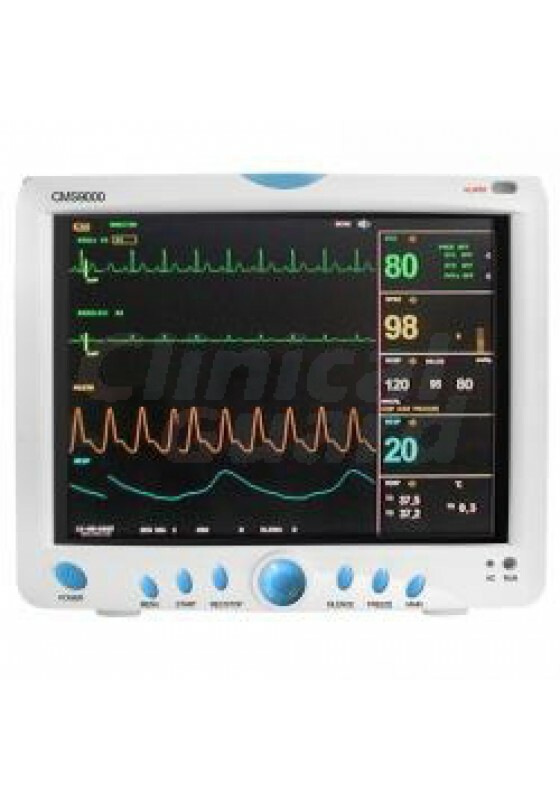 The Contec CMS9000 is versatile and precise, containing up to 10 parameters, including ECG, respiration, blood oxygen concentration, pulse rate, non-invasive blood pressure, arrhythmia analysis, pace-maker detection, S-T segment analysis, and dual-channel temperature. The Contec CMS9000 patient monitor is perfect for individuals of all sizes, including pediatrics, adults, and neonates. These array of features, in combination with a portable battery for increased mobility and portability, makes the Contec CMS9000 a great choice when choosing an all-around, high-quality patient monitor. 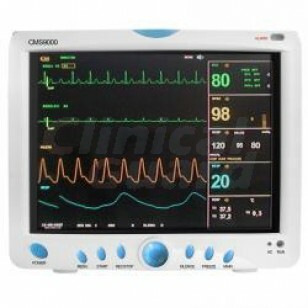 Additional features of this monitor include, a 12.1” TFT color LCD with up to 8 channels waveform on one screen, protection from electrosurgical unit and defibrillation, a built-in recorder, 72 hour storage, and a 40 second holographic waveform review. Optional features, including end-tidal carbon dioxide (ETCO2), cardiac output (CO), and invasive blood pressure (IBP), may also be utilized. 72 hour storage and review of trend graphs and tables, 40 second review of olographic waveforms.